Diapers are a, without a doubt, one of the most essential, and expensive baby items. Try as you might, there is simply no way to get around using some sort of diaper. While you could get cloth diapers, they carry a hefty upfront cost. If you are looking to save as much money as possible while buying diapers, then you’ll have to choose from the best generic and brand name diapers. But which is better? Can a generic diaper provide as much absorption as the brand name varieties, or will they be leak city? With so many choices out there, it can be a real challenge to pick the best buy for your little baby’s buns. Lucky for you, you found me! I’ll guide you through everything you need to know and give you an in-depth review of the best of the best. (*) Below, you'll find my detailed reviews, but you can also click the links above to see prices and read customer reviews. As I said before, if you don’t want to absorb the staggering upfront cost of cloth diapers, then you’ll have to choose from either generic or brand name diapers. Each type has their good and bad points, so you’ll have to pick carefully. Generic – If you are looking to save as much money as possible, then generic diapers are going to be your best friend. The companies that make them don’t need to pay for advertisements, super fancy box graphic designs on the boxes, or character licenses. This means that they are often able to sell their diapers at a much lower price, which will save you money. However, some of the companies that make these generic diapers will skimp on the design process as well to save a bit of money. This makes some of the brands more likely to leak or tear during use. Obviously, this is less than ideal, since you don’t want to spend all of the money you’re saving on diapers to go right into your laundry budget. Brand Name – Brand name diapers are more widely used, so it is easier to parse through the different offerings on the market to find the best fit for your baby. The companies that produce also have a much bigger budget, which they have put into research and development to make sure that they don’t leak. This bigger budget is also spent on making the diapers as appealing as possible to consumers as well. This means that these diapers will be more expensive than generic ones, which might make them tough for some families to purchase. No matter what type of diapers you are looking, whether they be generic or brand name, you’ll want to keep a couple of things in mind when you are out shopping. Sizes Available – The sizes that you need for your baby are usually going to be more widely available for brand name diapers, but you might be able to find generic ones in multiple sizes as well. Before you buy any type of diapers in bulk, make sure that they have all the sizes that you need. Believe me, babies grow extremely quickly, and you don’t want to fall in love with a diaper only to find out that it isn’t available in the next size up. How They Fit – I highly recommend that you buy a couple of different diapers to try out on your little one to see which one fits their body best. After all, each baby, just like each person has a unique body shape, and certain diapers are going to fit them better than others. Absorbency – This is a BIG ONE! No matter what type of diaper you hope to get, you need to be sure that it will be as absorbent as you need it to be. You might be able to get by with a less absorbent diaper if your kid doesn’t pee a lot, but I wouldn’t hold my breath for that kind of miracle if I were you. It is better to have too much absorbency than not enough, at least in my experience. Baby Reactions – Again, each kid is a little bit different. Some of the chemicals in the diapers you buy might not agree with your little one. Even if the diaper you pick has great absorbency and fits your child well, if they cause some sort of rash, you’ll have to go back to the drawing board. Scented or Unscented – Going off of the last section a bit, some diapers can be scented, which is adding another chemical into the mix. If you are a first-time parent, you might think that it would be nice to have something to cover up all of those bad smells. Trust me, after the ten millionth diaper change; you’ll barely notice the odor at all! Easy To Use – No matter what types of diapers you choose, they aren’t rocket science. You’ll just want to make sure that you get a diaper that has a very obvious front and back. That way, if you have someone else changing your baby, like a grandparent or sitter, they’ll be able to get it on without too much trouble. The Good: Even though it can be really difficult to find the best generic and name brand diapers on such a flooded market, these diapers from Pampers just might be it! Pampers brand diapers have been around for a long time, and they have a great reputation for quality products. These diapers, ​are no exception, as they are incredibly absorbent. Excellent absorbency isn’t the only thing that these diapers have going for them, however. They also have some great and innovative features that make them a cut above the rest. One of the coolest things is the wetness indicator strip. Basically, when the diaper is wet, a blue line will appear across the front of the diaper. This helpful little tool allows you to keep your baby as clean and fresh as possible. These diapers are by far some of the softest that I have ever come across. While there is the slight chance that the chemicals used within them might cause a reaction for your child, they are certainly not going to be chafed or rubbed raw by these blanket soft diapers. The Bad: Since these are a brand name diaper you will pay a bit more for them than you might some others I have listed. However, they are totally worth every penny, since they are of such high-quality. The Long and Short of It: These diapers are an example of the best that brand name diapers have to offer. They are extremely absorbent, comfortable, and easy to use. The Good: One of the biggest problems with disposable diapers is the fact that they don’t break down over time. In fact, the very first disposable diapers ever made are still sitting in a landfill somewhere. However, thanks to advancements in recent years, some diapers are now much more environmentally friendly and will break down after a while. Since these diapers are naturally made, they don’t have any chemicals or dyes added to them. This makes them a wonderful choice if you are worried about exposing your baby to chemicals or you have reason to believe that they might have some sort of skin allergy. The Bad: The sizing on these diapers is a bit tough to determine. While other diapers come in a wide array of sizes from newborn to toddler, these diapers are listed as small, medium, or large. This might make it difficult to get just the right fit to guarantee that your little one won’t leak. The Long and Short of It: These diapers are eco-friendly and hypoallergenic, making them a great choice for the environment and your baby’s sensitive skin. The sizing is a bit confusing, though with some practice I’m sure you could figure it out! The Good: HUGGIES brand diapers are the other big brand name out there on the market, and for a good reason. These diapers are really easy to use. They also come in a variety of package and diaper sizes, making it a cinch to find the right size for your kid. They also come in some varieties, which will make it that much easier to find the right absorbency level for your child’s particular needs. These different variations also allow you to pay for the absorbency that you need, which is a good way to watch your budget. The Bad: While these diapers are some of the more expensive ones on the market today, you wouldn’t always know it by how they feel. During my testing, I found that these diapers ripped easily in comparison to some of the others out there. They were also more prone to leaking than some of the others that I have tried out. 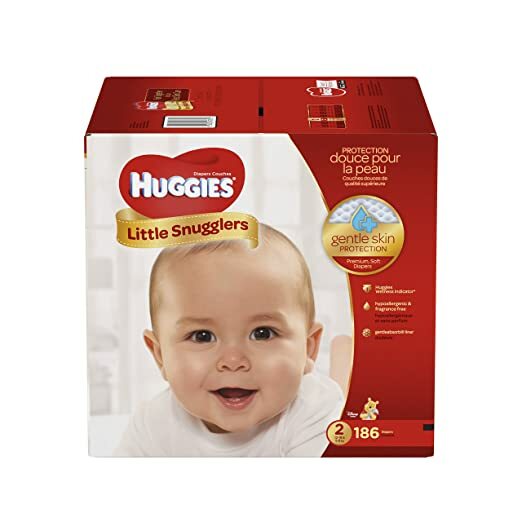 The Long and Short of It: While most people will definitely recognize the HUGGIES brand name, that doesn’t necessarily mean that they are the best buy. These diapers tend to rip if not used properly, so be careful with them! 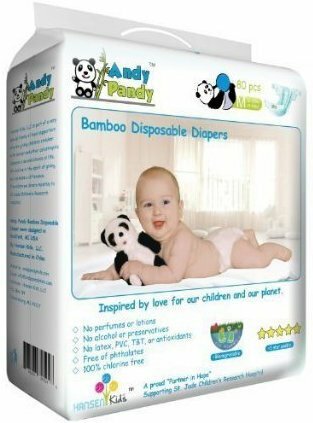 The Good: If you are looking for a good, cheap alternative to the big brand name diapers, then these Cuties are for you! They offer good leak protection, a comfortable fit, and multiple sizes, all at one of the lowest prices on the market. What’s not to love? Not only that, but these diapers have an aloe-infused inner lining, which is designed with your baby’s comfort in mind. This will help to prevent irritation and can even be counted on to soothe a baby’s already irritated skin. The Bad: Cuties will offer you good, but not great leak protection. You will probably have to change them a bit more often than other diapers. 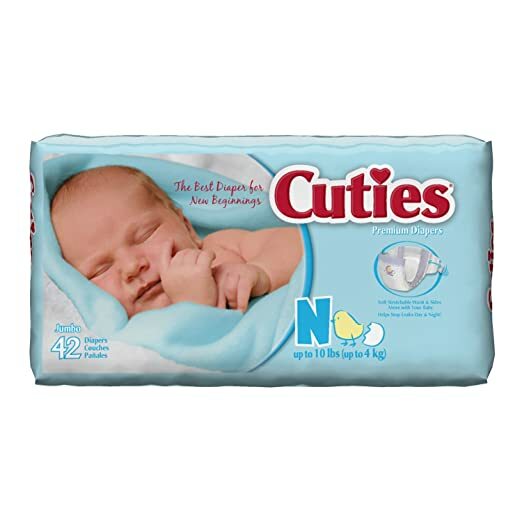 The Long and Short of It: Cuties are a good, but not a great alternative to the big name brand diapers out there. They are easy to use and gentle on baby’s skin, though they will need to be changed more often than some other diapers on the market. The Good: Of all the brand name diapers out there, Luvs are some of the cheapest. They are also really easy to use. They have an extra stretchy clasp on each side that makes it quick and easy to open them up big and wide, which will allow you to get them off and on in no time at all. These diapers come in a really big pack as well. If they work for you, it is extremely convenient to be able to purchase such a large pack. This will save you lots of time, time that you can spend snuggling with that baby of yours instead of running to the store. The Bad: As you would expect, these diapers are cheaper for a reason. While their leak protection is not horrible, it is not as good as the others on my list. If you decide to utilize these diapers, you will have to change your child more often to avoid leakage. 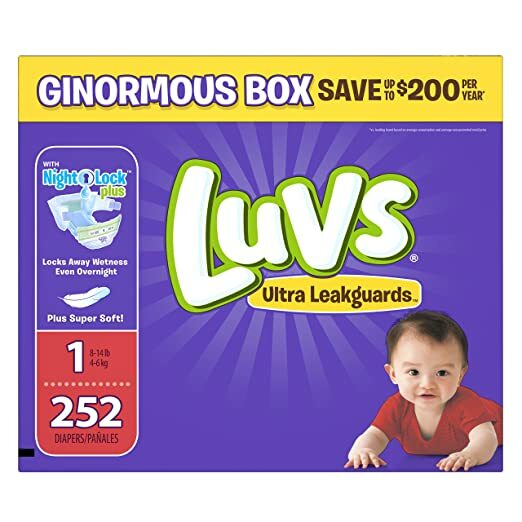 The Long and Short of It: Luvs diapers come in huge boxes and are super simple to use. Just make sure you change your child frequently, as they can be prone to leaks. 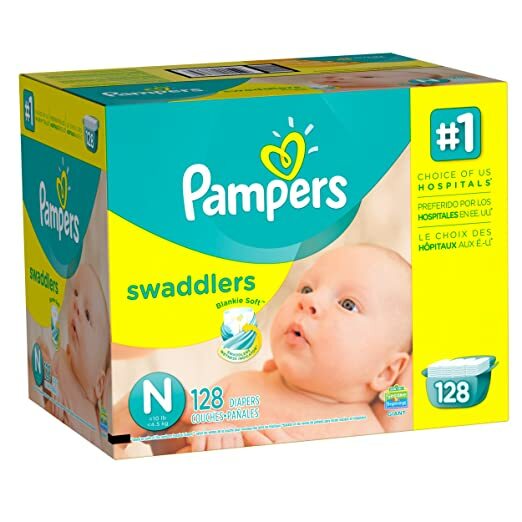 After very careful consideration, I have concluded that Pampers Swaddlers Diapers are going to be your surefire choice if you want to be sure to have the best generic and brand name diapers around. These diapers are the real deal; they won’t leak, they’re super comfortable and easy to use, and you won’t break the bank buying them. I highly recommend you give them a try. I guarantee you won’t be sorry! What a Delightful Deluge of Diapers! I do hope that you can find the perfect diaper for your little one after reading through this article. If you have any questions, comments, or suggestions, please let me know in the comments section below. Have a great day! Hi! My name is Veronica Mitchell. I am a mother to two adorable little girls and a handsome little boy. I spend my days caring from my children, packing lunches, reading aloud, and kissing boo-boos.